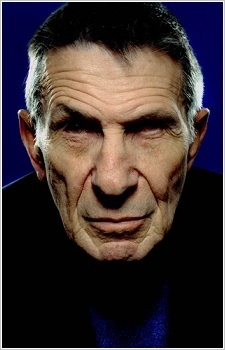 Leonard Nimoy was the original actor who played Spock on Star Trek. He also voiced Galvatron in the first Transformers movie. RIP Leonard Nimoy. I hope you family and friends live long and prosper. RIP, Leonard. You lived long and prospered. I HATE Star Trek with a passion. I hate everything about it. But while everyone remembers Nemoy for Spock, I will remember him as Galvatron.